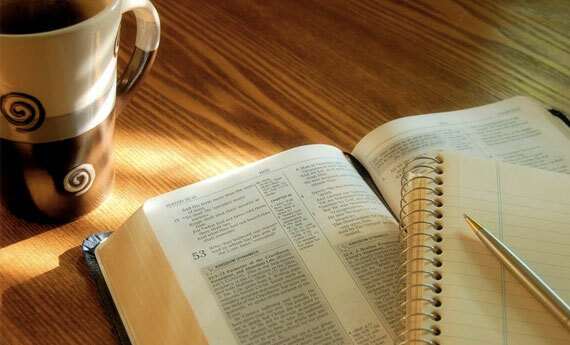 It is National Bible Sunday today which culminates the National Bible Week that started last Monday, January 21. The Bible is truly foundational and very much essential in nation building. Psalm 33:12 firmly declares, “Blessed is the nation whose God is the Lord; and the people whom he hath chosen for his own inheritance.” The Bible is likewise the Book from which our faith comes. The Bible in Romans 10:17, clearly affirms, “So then faith cometh by hearing, and hearing by the word of God.” As Christians, we really need to have a strong confidence in the Bible, and truly approach God’s Word with great frequency, faith, and fervency. We ought NOW to give God’s Word greater attention and submission than ever before, and really have that purpose to k eep in our Christian life and witness towards consistently glorifying God and honoring His Holy Name. 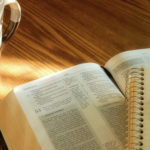 Would to God we consistently step out in faith in obeying God’s Word, and faithfully fulfill God’s Great Commission, among others as recorded in Acts 1:8, “But ye shall receive power, after that the Holy Ghost is come upon you: and ye shall be witnesses unto me both in Jerusalem, and in all Judea, and in Samaria, and unto the uttermost part of the earth.” Praise and thanks be to God for the Missionary Commissioning/Sending-out of our 4 Missionary family units last Sunday in our afternoon service. This represents 1 to the local field, and 3 to the foreign fields. At the same time and on top of this, we by God’s enabling grace, will continue to partner with some 25 other additional new Missionaries to the foreign fields that will soon be eventually accepted to use the Asia Baptist Clearinghouse servicing facility. It is in this regard that we must get much more serious, consistent, and passionate in our Faith Promise Missions Commitment/Giving, all the more so earnestly responding with the long-time challenge to at least make it equal with that of our tithe. My dear brethren, may we always have a real focused heart and an unwavering, abiding trust in our God who is able! Let us also continue to prepare for, and really get ready with o ur Church anniversary special offering this February 10. 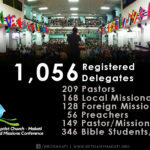 We dedicate said offering to help address the various needs/concerns in our ensuing 19th World Missions Conference. The Bible in II Corinthians 9:8 clearly assures and encourages us, “And God is able to make all grace abound toward you; that ye, always having all sufficiency in all things, may abound to every good work.“ Let us NOW then continue to step out in faith and fully trust God and His Word!